Summer Falls into Autumn ~ Release! As the leaves turn, the days are filled with golden moments and with Pion Design’s new collection Summer Falls into Autumn it will be easy to preserve some of these highlights. Whether you are crafting a card for Thanksgiving or documenting your day in the forest, this is the perfect collection! 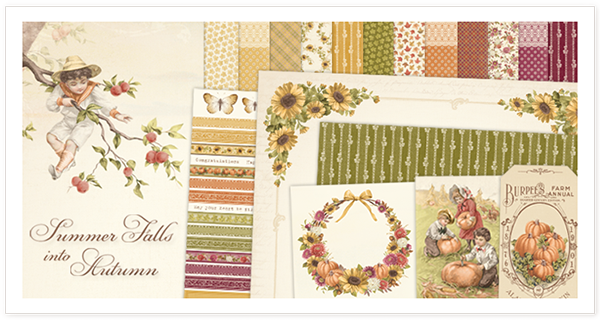 With its warm hues and gorgeous patterns it will inspire numerous projects, and with paper names as September morning, Apple orchard and October harvest you are certain to capture all of nature’s beauty this season!